GLADIATOR™ The Best Seat in the House! 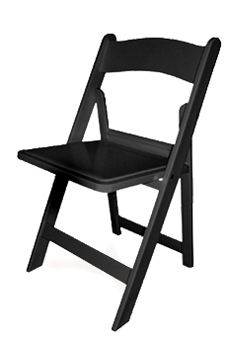 The SAFEST, STRONGEST, Steel Reinforced Resin Folding Chair available. Patented steel reinforced seat frame and patented steel reinforced rear legs which will not bend like our competitors chairs do. Backed with our NUFURN Ten Year warranty, the GLADIATOR™ is simply the best steel reinforced resin folding chair available. Quality chairs reflect the quality of your company. An investment in the GLADIATOR™ is an investment in your reputation. The GLADIATOR™ is the Ultimate Chair for any Venue & Event. Once you have experienced the comfort and safety of the Gladiator™ Chair, you may become extremely disappointed with your current resin folding chairs! The Gladiator™ chairs are ROCK SOLID compared with many lightweight resin folding chairs that DO NOT have steel reinforcing. The Gladiator™ Chair is the only resin folding chair available with steel reinforcements in the rear legs and seat frame. 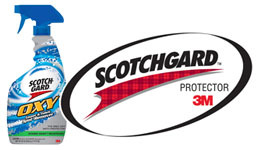 We recommend the use of Scotchgard™ OXY Carpet and Fabric Spot Remover. One easy step to Clean & Protect! pad so they don’t resurface. • No sticky residue is left behind to attract dirt. 2. The Nufurn Gladiator™ is patented. thousands of these chairs to thousands of satisfied customers worldwide. As used by the US Defense Force, Marriot Resort Premier and The Ritz Carlton. Why? Because our Gladiator™ chair is Patented and therefore they cannot copy it. bend and make guests feel unsafe and the chair feel 'cheap', this is far worse. • They may tell you that only their chairs are recyclable. The Gladiator™ is also recyclable. your respiratory health and on the environment? There is only one Gladiator™: Safe and Dependable NOT Bendable!